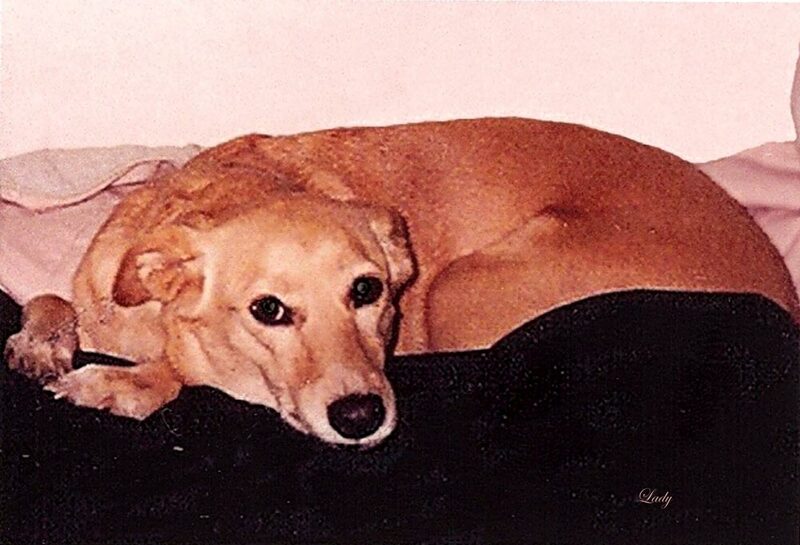 In 2004, my beloved Whippet/Golden Retriever mix, Lady, passed away at age 16. 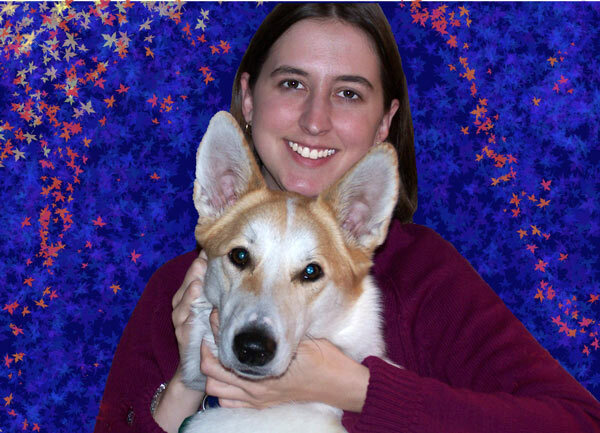 Lady was my canine companion through high school and most of my 20s. She was a playmate, fellow couch potato, and furry shoulder-to-cry-on. I was devastated and I miss her still. My palms itched to pet a dog and I dreaded coming into a home with no tail wagging, no one rushing the door to greet me. I lasted six weeks. On a weekend like any other, I went first to Seminole County Animal Services and then across the street to the Humane Society of Seminole County (part of the SPCA of Central Florida). There, I found a beautiful, happy, 14-month old husky/collie mix. She was an owner surrender. Her previous owner was moving, and couldn’t/wouldn’t take her along. 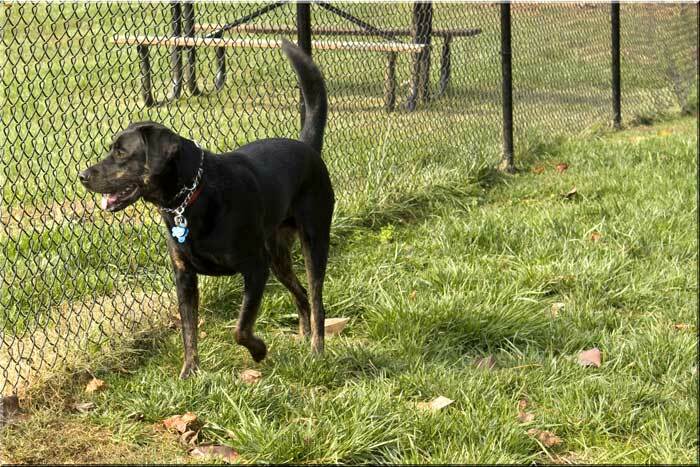 Out in their play yard, she ran like mad, enjoying her freedom from her crate. As soon as I sat down on the lawn chair, she charged over, leapt up and gave me kisses. I was hers. This January, she turns 7. I can hardly believe it. It seems like only yesterday that I brought her home. I’d been contemplating adopting a second dog for two years and in 2008 the stars aligned. One Wednesday afternoon, I packed Samia into the car and we drove to the SPCA of Wake County to find a playmate. I had my eye on a german shepherd mix, but Sami had other ideas. She wanted Pilot, a two-year old black lab/pointer/rottie mix. Who was I to deny her? Pilot came to the SPCA as a stray, so I know little about him other than he was terribly underweight, but extremely grateful to be somewhere safe and warm. They make an odd pair: one white, one black; one with erect ears, one with floppy ears; one curly tail, one table-clearing tail. Yet, they are inseparable. I can’t imagine life without them. ~ by Rachel on January 1, 2010. 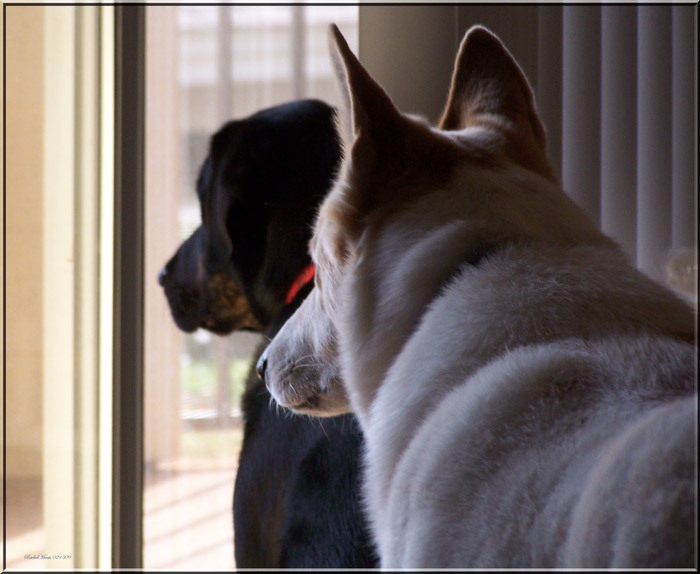 A lovely well written tribute to your wonderful dogs. I do miss having a dog around the house; I do enjoy playing with yours. I just came across this post by doing some research about Golden/Whippet mixes. My dog, Luke, is an adorable golden retriever mutt but I’ve never been sure what else might be in him. My vet suggested that he could be mixed with whippet or some other type of skinny fast dog and I came across the picture of Lady…I’ve never seen a dog that looks so similar to my Luke! I’d love to share some photos with you if you’d like! I’ve never met one that looks like Luke either! A very special mix 🙂 What is your email address? ucfdg97@gmail.com or ucfdg97@aol.com Either one is fine. Thanks!